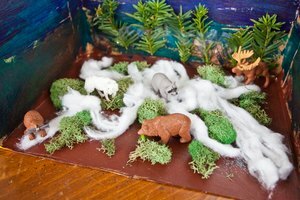 Kids can re-create the arctic scene inside of a shoebox. 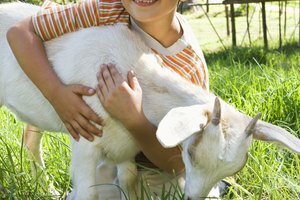 If you find yourself dragging your budding biologist out of the zoo kicking and screaming, an animal habitat project is an ideal way to appease her need for nature. Before you begin to fret over finding all of the artsy materials that you will need to help her create a habitat, take a look in your closet and reuse a shoebox as the basis for the project. Help your child turn your old shoebox into an arctic diorama. Turn an opened shoebox on its side to make a stage for an arctic scene. Have your child paint the inside back and sides a sky blue and the bottom an icy white. 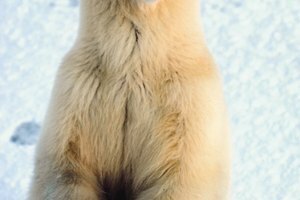 Ask your child to draw pictures of arctic animals such as caribou, polar bears or an arctic fox onto index cards with markers. 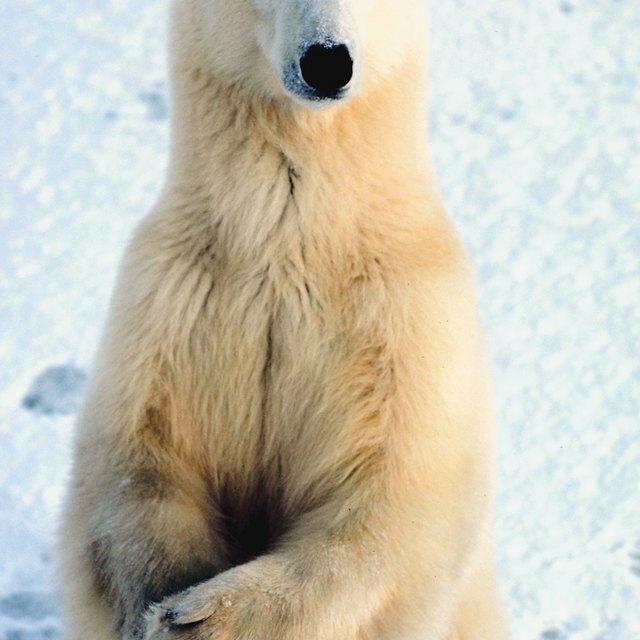 If your child is struggling to draw his favorite arctic animal, use pictures or printables instead. Cut out the animals, leaving a small tab on the bottom. 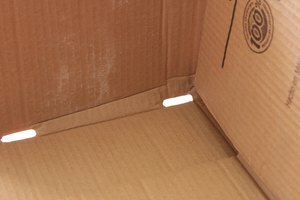 Fold the tab under and glue it to the inside bottom of the shoebox. 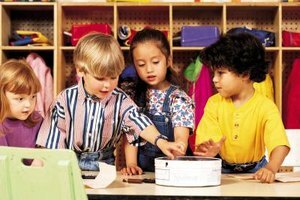 Give your child some extra materials to add in, such as cotton ball snow drifts. Make a mini-forest with your preschooler that he can fill with woodland friends. Give your child blue, green and brown non-toxic tempera paints and have him add color to the inside of an old shoebox. He can paint the bottom inside of the box brown for rocks and dirt and green for grass. Have him add brown mountains moving up the back and sides of the box. Complete the painting process with a blue sky at the top. 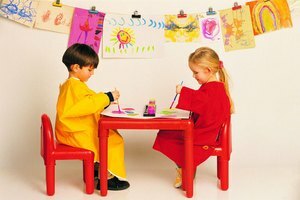 Make a few paper trees with your child by drawing them onto index cards or card stock paper. Cut the trees out, fold a tab underneath the artwork and glue them onto the bottom inside of the box. Add in deer, bears and other forest creatures. Choose a few different small-sized plastic animal toys and place them around or under the forest trees. Don't forget about the animal habitats that exist under the sea. Your little artist can create an ocean animal habitat project by painting the entire inside of an open shoebox sea blue. Use modeling clay or colorful crumpled tissue paper to create a coral reef habitat or add strips of green paper to make underwater plants. Give your child fish stickers to attach to the inside back of the box or cut out photos and pictures of ocean animals such as an octopus or squid. Punch a hole at the top of each ocean animal picture and tie a piece of yarn through it. Have your child tape the other end of the yarn to the top inside of the box, allowing the creature to hang down and look like it's swimming. Your child can recreate the African savannah using a shoebox and basic arts and crafts materials. Help your child paint the inside of the box with a blue sky and green grass. Add cut pieces of raffia to the bottom of the box with glue to make a grass-like surface. Have your child make a clay animal or two to populate the habitat. Your child can build a leopard, lion, elephant or zebra with modeling clay to add to the inside of the diorama. Loop, Erica. "Animal Habitat Projects for Kids Using a Shoebox." Synonym, https://classroom.synonym.com/animal-habitat-projects-kids-using-shoebox-46866.html. 26 September 2017.